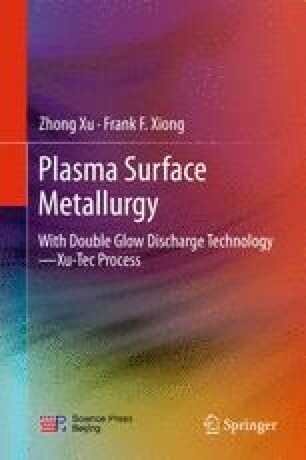 This chapter introduces the plasma surface metallurgy high-speed steels (HSS) formed on the ordinary carbon steel surface by double glow plasma surface alloying technology (Xu-Tec process). The cases include W–Mo HSS, W–Mo–C HSS, W–Mo–Ti HSS, and Mo–Cr low alloy HSS, as well as plasma surface metallurgy aging hardening HSS. The process parameters, microstructures, composition distribution, and properties of above high-speed steels are presented in detail. Plasma surface metallurgy high-speed steels on the ordinary steel not only possess excellent performances by comparing to the bulk HSS materials, but also save the precious alloy elements (tungsten and molybdenum) in producing a surface layer and greatly reduce the overall material cost.